Just three years out of high school, Piedmont Tech graduate Travisia Thompson may be earning upwards of $60,000 a year. This virtually unheard-of earning potential is quite literally possible. Apprenticeship programs across South Carolina are proliferating rapidly as local employers realize their potential and return on investment. In the seven-county area served by PTC, these opportunities have continued to expand as well. 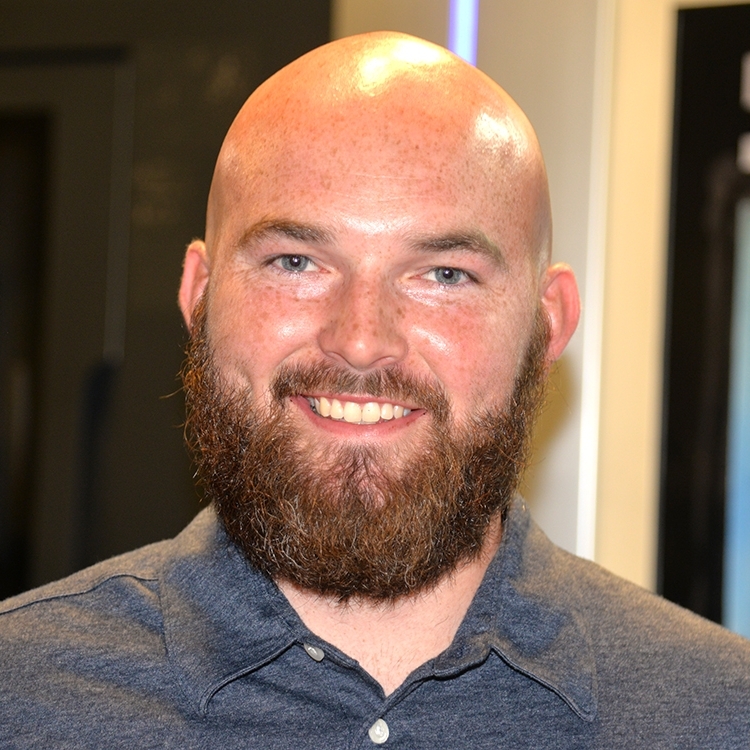 After just his first semester studying at Piedmont Technical College (PTC) in Greenwood, Austin Morris began working as an apprentice at Burnstein von Seelen Precision Castings in Abbeville while continuing to work toward his machine tool technology degree at PTC. The apprenticeships are registered with the U.S. Department of Labor as part of federal funding awarded to the SC Technical College System specifically to expand apprenticeship in South Carolina. It is hoped that apprenticeships can address unmet needs for skilled workers in such fields as advanced manufacturing and construction. Students can enter these programs at all points along their path to developing needed workforce skills. For instance, some apprenticeships start as early as high school, while others are hosted at local companies for existing employees. Here are just a few of the ways in which PTC is driving student and business success through apprenticeships. The apprenticeship program that quietly launched in 2016 at Velux in Greenwood has gradually attracted notice, and more employees say they want in. The apprenticeship program in leadership at Velux is wrapping up its two-year run, and another two-year program has begun to provide SAP (Systems, Applications and Products) training. The SAP training is completely online, which is popular with employees because they can participate when it is convenient for them. Setzler said that feedback on the program has been overwhelmingly positive. Navigating a sometimes turbulent marketplace requires vision, experience ― and the right balance to stabilize the ship. 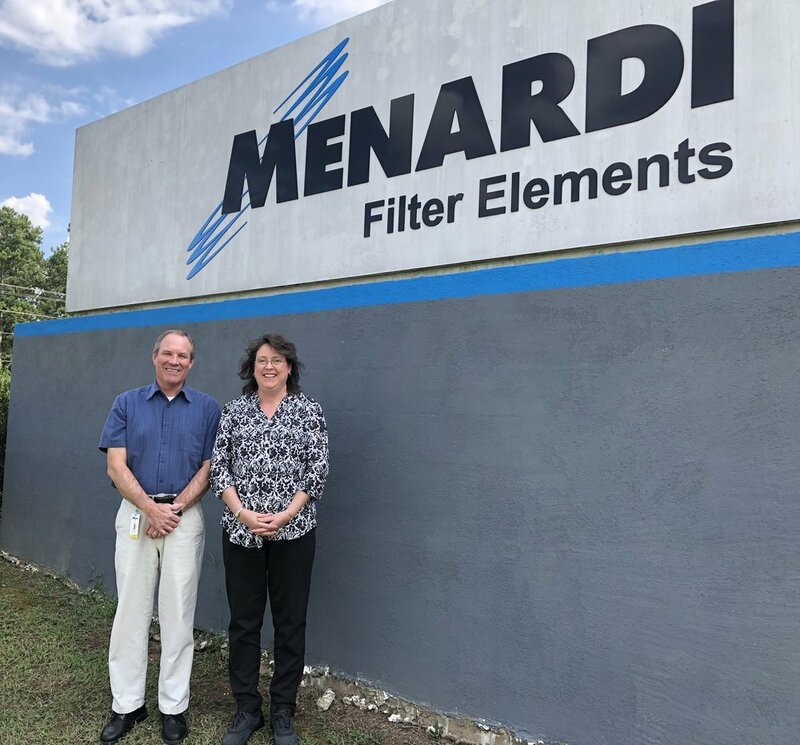 Management at Menardi Filter Elements in Edgefield County realized that sailing along the same way as always only brings the same results. All the while, their competitors were changing tack in the midst of an approaching sea change. Trykowski and HR Manager Kerry Watson both knew that staying competitive required not just a training solution but an overall cultural shift. And that meant swimming against the longstanding current. “When I started a year ago, my overall goal was to get people training,” Trykowski explained. “Kerry and I both came from a largely pro-training environment.” At the time, some Menardi employees hadn’t received any training for several years. “Kerry and I are trying to bring that forward,” he said. For its part, PTC provides onsite instruction for Menardi employees. Having the instructors come to Menardi rather than sending employees offsite is a huge advantage. “By having someone else come in who is considered an expert, I think that carries a lot more weight than something we might offer internally,” Trykowski said. Trykowski noted that the apprenticeship platform makes training more affordable as well as supports improved retention of employees. A proactive maintenance apprentice program among partners Piedmont Technical College (PTC), Laurens County Development Corporation (LCDC), Laurens County School Districts 55 and 56, and ZF Transmissions in Gray Court is making high-paying career opportunities available to qualified Laurens County high school students. ZF’s 1.5 million-square-foot advanced manufacturing facility produces 8- and 9-speed automatic transmissions for passenger cars. In a partnership with PTC and two public school districts in Laurens County, ZF launched the apprenticeship program modeled after successful ZF apprenticeships in Germany. The three-year program is not for commitment-phobes. Apprentices are required to complete 4,000 hours of on-the-job training in addition to their coursework. 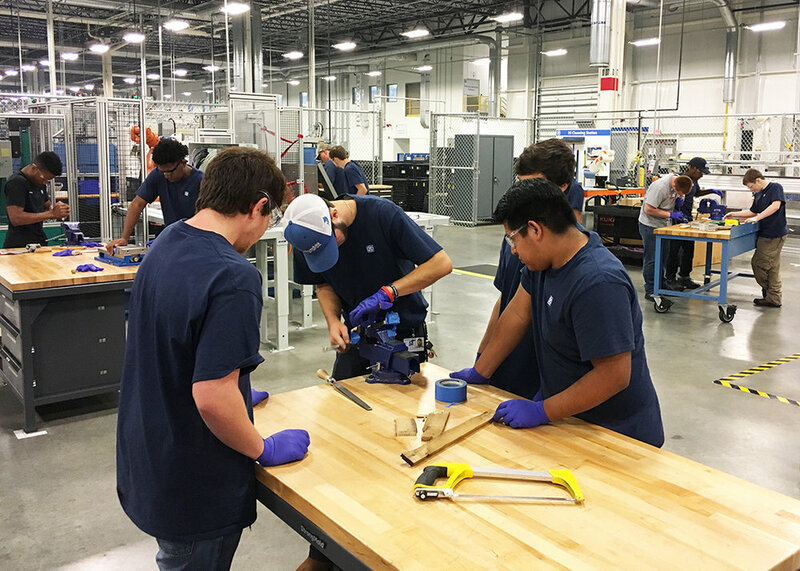 High school students in the program take their technical classes at the PTC Center for Advanced Manufacturing (CAM) in Laurens, train part-time at the plant, and finish other coursework at their high school. 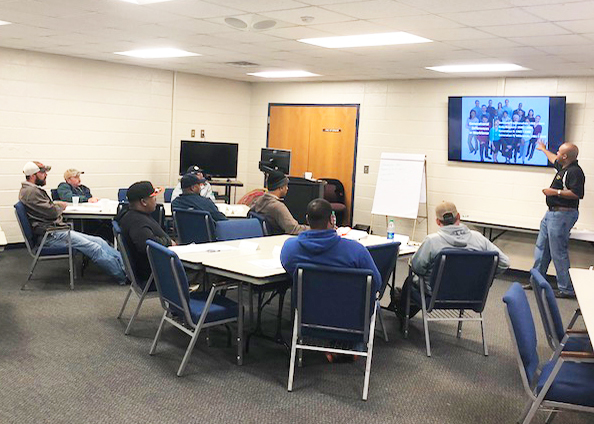 After successfully completing the program, students receive an associate degree from Piedmont Tech and have an opportunity for full-time employment as a maintenance technician. In addition to supervising ZF apprentices, Robbie Ellis visits high schools in Laurens County to recruit the next class of apprentices. “I encourage underclassmen to look into dual enrollment at PTC in machine tool technology or mechatronics to give them a leg up on the application process,” he said. To further standardize their employee training plan, strengthen worker skills and support retention, Colgate-Palmolive officials in Greenwood signed an agreement with Piedmont Technical College (PTC) and readySC™ to roll out a registered apprenticeship program for their maintenance employees. Sixty (60) Colgate employees signed up for the program, and interviews are now underway to determine the first 10-12 candidates to enter the program this fall. The selected apprentices will complete PTC’s Mechatronics I course. Mechatronics combines the terms “mechanical” and “electronics” as they apply to engineering and computer science fields. Employees trained in mechatronics can help develop and operate intelligent or “smart” electromechanical systems. In the manufacturing environment, examples include programmable robots and machine tools with auto-adapting functions. Colgate is a leading global consumer products company. The company’s Greenwood facility produces liquid hand soap, body wash, deodorants and antiperspirants including such brands as Softsoap, Irish Spring, Mennen Speed Stick, Lady Speed Stick and Sanex. As incentive to participate in the program, Colgate ― and other qualifying companies ― can receive a tax credit equivalent to $1,000 per year per apprentice to offset any costs associated with establishing the registered apprenticeship program. The “earn while you learn” apprenticeship model is proving to be an effective, affordable tool for growing a skilled workforce. For more information, visit the Apprenticeship Carolina website.